Join HRMN members to learn how to successfully motivate your employees for maximum achievement. Phil Hayes will lead us through understanding the key motivational strategies that help employees and business thrive. 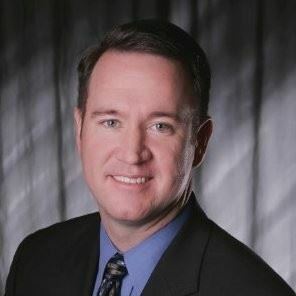 Phil Hayes is the VP, HR Services & Operations for the Arnold Group (TAG), a human resource company providing HR consulting, supervisory training, employment assessments as well as direct hire & temporary staffing solutions. Hayes manages and oversees company operations, including the design, development, and implementation of all client HR programs. Hayes holds a Bachelor’s Degree in HR Management from Bellevue University and Masters of Management Information Systems from Friends University. Hayes is also recognized as a certified Senior Professional in Human Resources (SPHR) through the HR Certification Institute. He remains active in the Society for Human Resource Management (SHRM) as well as with the Kansas SHRM State Council and Wichita SHRM boards. Additionally, he serves on the board for the Workforce Alliance of South Central Kansas, Inc. In 2006, Hayes was recognized as the “Wichita HR Professional of the Year” and “Kansas HR Professional of the Year” in 2007. Hayes was appointed to the Kansas Employment Security Board of Review in 2014 by Governor Brownback.